*Fully restored with the chalk marks still on the frame. 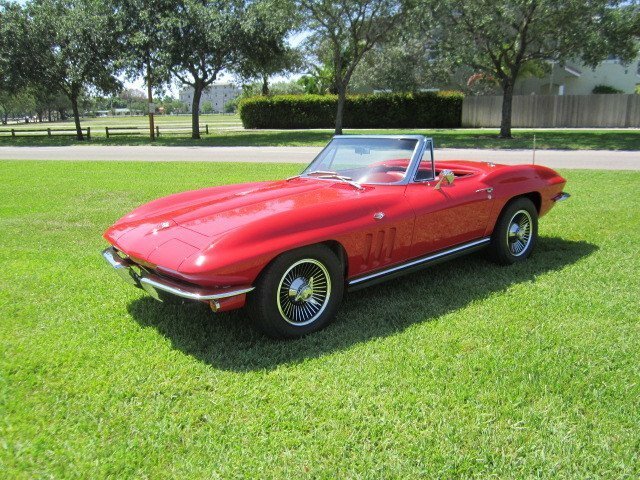 - When people ordered new 1965 Corvettes, the solid lifter 365 hp 327 was the highest horsepower carbureted model available. The engine was the choice of the performance oriented buyer so it's no wonder that few were ordered with the extra weight and performance robbing air conditioning option. - Our car is one of the rare Sting Rays that came through with both the 365 hp engine and factory A/C. 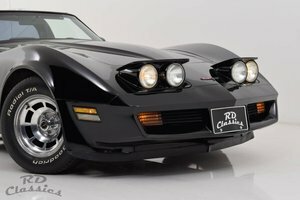 - It has been meticulously restored with an eye toward NCRS competition. - A look under the car shows the body shim chalk marks.... Other tells, show good thought was spent making the car not just pretty, but correct. This car has factory air conditioning, factory hardtop, electric windows, and knock off wheels. The red leather interior is a real complement magnet. - Everybody loves a red Corvette. Trades welcome. Financing available. Worldwide shipping accommodated.